"PEW"started during 1974 in a small workshop of Electric Motors and Pump sets. "PEW" has been a reputed manufacturer of a wide range of Quality Motors up to 280 frame. All motors are manufactured in Quality Assurance System Compliant with ISO 9001-2008. The motors comply with the regulation and standards consistent with IS & IEC standards. "PEW" offers wide range Squirrel Cage Induction Motors ranging from 0.125 kW to 125 kW in Three Phase. 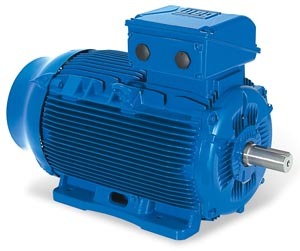 The range includes various types of motors such as Standard Induction Motors, Dual Speed Motors, Geared Motors, Brake Motors, Crane Duty Motors and a list of motors to name a few.Electric Motor consumes 70% of the total electricity used in the industrial sector. With soaring energy unit prices and lack of power, the only viable way to handle these crises is use of energy efficient motors where even a small efficiency improvement can improve the national economy and benefit the environment on global scale. The new in-house production facility allows us to add up all our strengths as a base for seamlessly interlinking processes right from cutting, processes, testing up to packaging and dispatch. We achieve the quality by procuring the important raw materials from Quality manufacturers. The process quality is maintained by processing all the components in-house in our well equipped manufacturing unit. Due to in-house process the quality is controlled at every stage which ensures quality of the final product. The faster delivery is achieved through Flexible Manufacturing System. Computerized testing facilities which includes Routine Test, Type Test or any other test which ensures that customer receives a rigid and reliable product. Sealed bearings are provided for motors up to 225 frame, Grease lubricated bearings are used on frames 250 to 280. Shaft is of high grade steel and of appropriate diameters to withstand the bending and tension stresses. Motors are provided with Single / Double Shaft extension, Special shaft extensions like: a. Change in diameter and length. b. Taper shaft with threaded ends c. Any other Special shaft extension are available on request. Customized specialties in Mountings, Non Standard paint shades, Anti Condensation Space Heaters, Thermistors and Encoder Arrangement for Inverter Duty can be offered. Motors capable of continuous operation at their rated power with a temperature rise within the specified insulation temperature class. Suitable for continuous process industries where high energy saving is essential. Short payback period for replacement. Higher efficiencies are achieved by following special features: a) Low loss special grade of thinner laminations. This reduces the Iron Loss even at partial loads. b) Thicker conductors and more copper contents reduce copper loss due to lower resistance. c) Longer core length, reduced and uniform air gap between stator and rotor to reduce stray losses. d) Special design of Fan and Fan Cover to reduce Windage Losses. Improved Efficiency is available from 60% to 100% load. The Efficiency Curve is almost flat resulting in higher energy savings, as in most of the cases the motor is not always fully loaded. The special design features also result in lower operating temperatures which enhance the life of motor and reduce the maintenance costs. Machine Tool Industry, Textile Industry, Air Conditioning Plants, Dairy Equipments, Material Handling Equipments, Pollution Control Equipment, Packaging Machineries, Cooling Towers, Construction Industry, Paper Industry , Steel Industry, etc.